The Veterans Instameet team has teamed up with NiSi Filters to host Veterans Instameet #13. 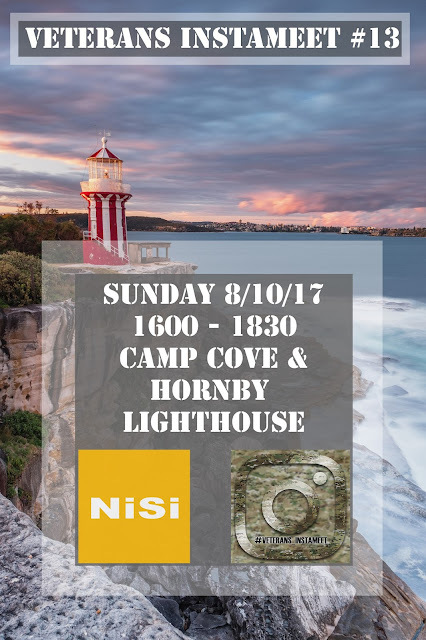 This Instameet will see us shooting in Sydney’s Eastern Suburbs between Camp Cove and Hornby Lighthouse. The plan is to meet no later than 4pm at Camp Cove carpark. Once everyone is there, Andrew from NiSi filters will hand out a few test kits and we will be taken through the art of long exposure photography. We will be giving away a V5 Pro 100mm holder valued at $299 for the best shot posted to Instagram in the days following. More details will be revealed on the day.